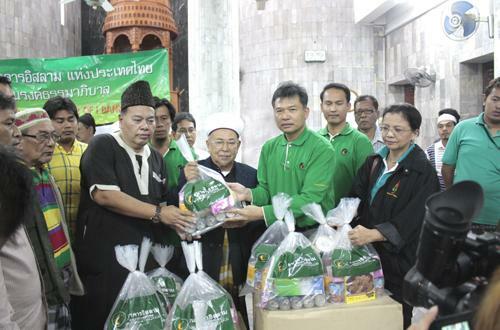 Mr. Theerasak Suwanayos, the President of Islamic Bank of Thailand (ibank), presented the 5,700 halal relief supplies including water to help flood victims and issued the measure under the ?? 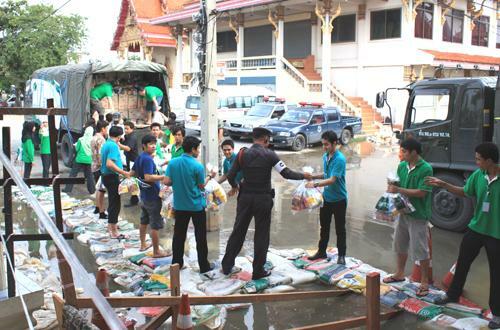 ?Power of ibank Help Flood Victims? 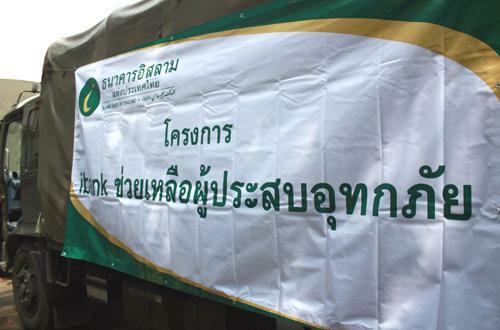 ?� project with special condition, at Klong Takien, Lumplee, Ayuttaya province, Koh Kred, Sai noi, Taweewattana, Bangrakpattana, Lahan, Nonthaburi province, and Pratumthani Province, November 4 2010.